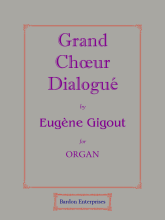 Gigout, Eugène. Studied at Nancy Cathedral School; the Niedermeyer School, Paris, under Camille Saint-Saëns and Clément Loret. Organist of St. Augustin’s, Paris, 1863. Professor at the Niedermeyer School, Paris, 1863-85; founded an organ school, Paris, 1885; professor at the Niedermeyer School, Paris, 1900-05; professor of organ at the Paris Conservatory, 1911-. 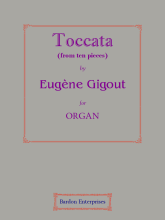 Composed church music, organ pieces, &c. b. Nancy, France, Mar. 23rd, 1844; d. Paris, Dec. 9th, 1925.